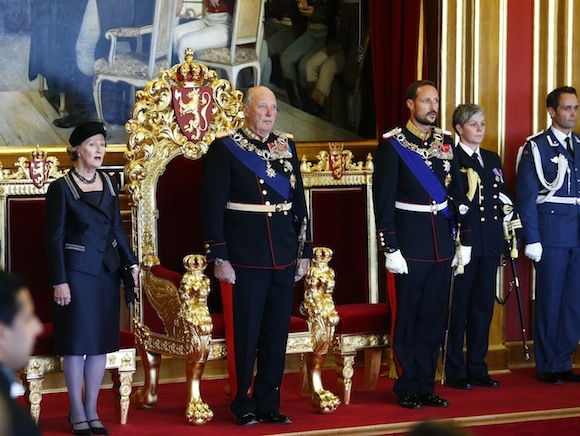 His Majesty King Harald officially opened the Norwegian Storting (Parliament) today. 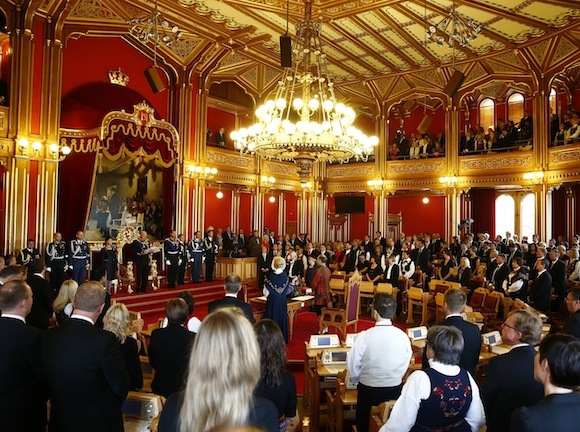 The 2013-2014 session of the Storting is the 158th since its inception, and the proceedings follow a fixed ceremony laid down in the Constitution. Her Majesty The Queen and His Royal Highness The Crown Prince were also in attendance. During the ceremony, the Prime Minister hands the Speech from the Throne to the King, which the King then delivers. The speech presents the main features of the Governments policies for the coming year. The Speech from the Throne is written by representatives of the Government, not by the King. The Speech from the Throne is followed by the Report on the State of the Realm. Traditionnaly read by the youngest member of the Government, the report presents a summary of what the Government has achieved during the past year.